Glaucoma is a serious eye condition -- one of the leading causes of blindness today. 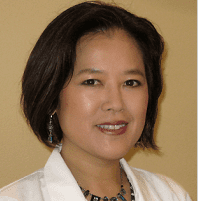 While it cannot be cured, there are some ways Dr. Jeehee Kim at Polaris Eye & Laser can help patients in Los Gatos, California prevent further damage and live with their condition more easily. Glaucoma happens because of the aqueous humor, the fluid inside the anterior chamber of the eye, fails to drain properly. With this overly slow draining of fluid, pressure sets in and causes damage to the optic nerve. Since the optic nerve is critical in the transmission of all visual signals, this damage can result in poor vision or even blindness. Glaucoma is most common in people over the age of 40, and it grows even more common after age 60. Some races are more likely to develop glaucoma, most notably African American and Hispanic people. Additionally, glaucoma appears to have a genetic link in some cases. If one of a person's parents has glaucoma, their risk of developing the condition is likely to be elevated. What are the Indicators of Glaucoma? Glaucoma is a particularly worrisome condition because it often causes no obvious signs until it is highly advanced. Once the glaucoma is in its advanced stages, the sufferer may realize that their peripheral vision is fading away. Eventually, this can turn into total blindness without treatment. Because of this, it is essential for people to have yearly eye examinations. 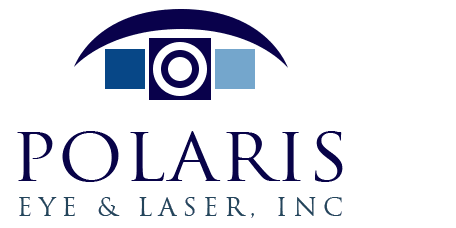 Dr. Kim at Polaris Eye & Laser has the training and the knowledge needed to spot the indicators of glaucoma, which will allow for the earliest possible treatment. Glaucoma diagnosis is made by taking a series of measurements over time. An exam may include visual acuity testing, peripheral vision testing, close-up exam of the retina and optic nerve, measurement of intraocular eye pressure, and measurement of corneal thickness. High eye intraocular pressure readings over time are a common basis for glaucoma diagnosis. The treatment of glaucoma depends on the individual and on how advanced the condition is. While there is no glaucoma cure, there are many ways that the condition can be managed effectively. The progression of glaucoma can be greatly slowed or stopped completely with the right treatment. Some of the possible treatments include prescription eye drops, laser, and surgical corrections. Dr. Kim also performs “iStent” surgery, a secondary implant procedure during cataract surgery, to treat glaucoma.